Don't miss the boat! 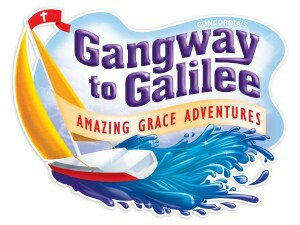 Gangway to Galilee is our theme for Christ Lutheran's 2014 Vacation Bible School! Set sail with us to sing fun songs, do crazy crafts, eat yummy snacks, play awesome games, and more. Plus, you'll learn all about Jesus our Savior and His amazing grace! We can't wait to see you! By the way, we also have lots of volunteer opportunities before and during VBS. There is also a donation request board to purchase or loan an item for VBS. For more information, contact VBS Director Carla Jones at (816)547-4751. In addition, watch for updates in the The Shepherd's Staff and on the church website.